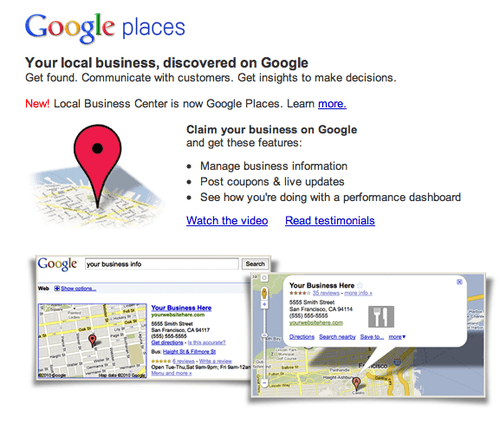 Recently Google has just upgraded their local business listing process. It’s now easier than ever to personalize what viewers see on Google when they search for your business. Check out Google Places and watch the video. How often do you use Google to search for local businesses?